Until the mid sixties, elms were among the most popular city tree in Europe. Now most of them are gone because of the Dutch elm disease. If you do stumble upon a rare full grown tree, they are imposing, towering trees. Defying all odds, the few city streets still lined with Elms are in the Dutch capital Amsterdam – the disease is actively contained here to preserve the character of the iconic canals. In spring, its branches are jam packed with bundles of winged seeds. These flaky seeds will soon tumble down like snow to cover the ground in a white tapestry. Giving room to its lush green foliage. The leaves of this species are a glossy dark green and resemble the leaves of Hornbeams. This is a set of two twigs, a separate apical and a lateral twig. 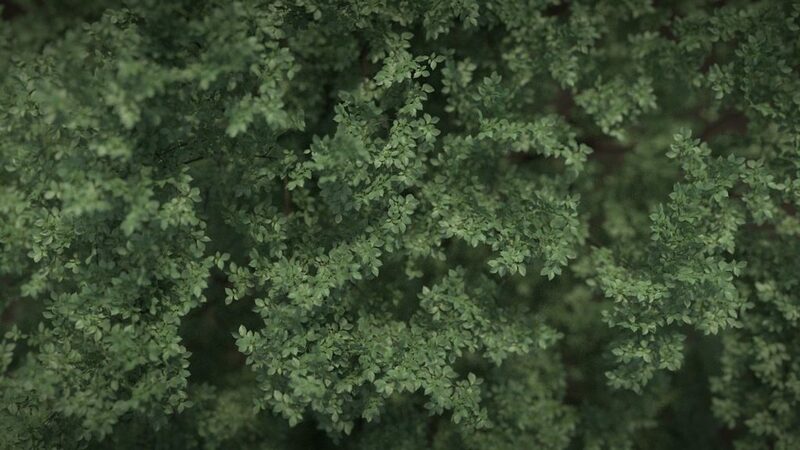 Together they create a dense foliage like in the tree below, which was rendered from a top view. 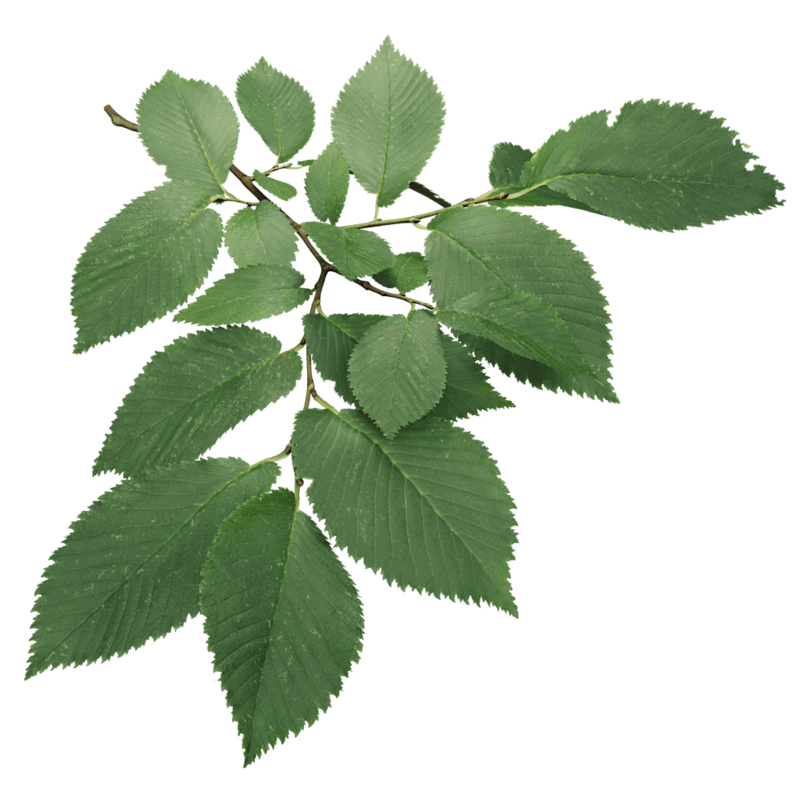 Wikipedia starts its description of the field elm stating that it is Europe’s most polymorphic tree species. Which means it grows in many shapes and characters. So just use any preset that looks good.